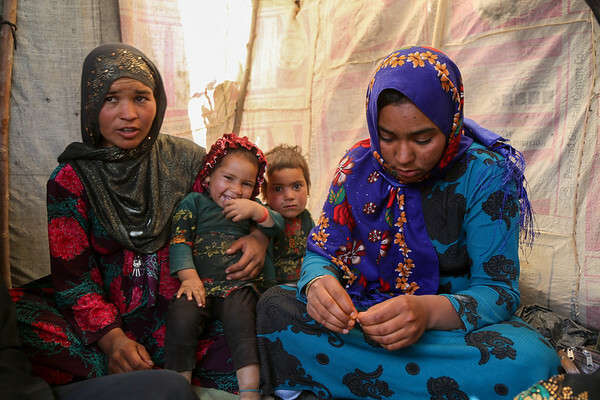 Sultana lost her three months daughter due to cold in one of the IDP settlement in Badghis, Afghanistan. The family have forced to come from Kharistan area to Qala-e-naw city due to sever drought some two months ago. "My little was fine before we left the village. We came here and slept in the open with only a tarpaulin over our head. My daughter got pneumonia at the beginning and latter she died," said her mother grieving. "She cries all the day and often comes here to talk to me and forget about her daughter," Hajira mother of five said. "She lost her daughter due to cold and it made me worried not losing my children," she adds. Hajira has five children and also a seven months pregnant. She asks for immediate shelter and winterization assistance as winter is looming. "We can't go back to our home because we can't find even a drop water as all wells and water sources have dried up," she said when we asked if they are planning to go back. Though the family do not have proper shelter in Sanjetak settlement, but they have been provided with water tracking and water tanks.